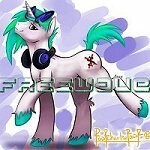 mylittleremix.com • View topic - How to make eurobeat with FL studio ? Board index ‹ Music Production Discussion ‹ Resources, Software, and Mixing Advice ‹ How to make eurobeat with FL studio ? How to make eurobeat with FL studio ? Re: How to make eurobeat with FL studio ? thank you but i'm still wondering how it works doees it have to be linked to FL studio or other ? Vsts are individual software synths that can be loaded in any major DAW. You will be using quite a few if you plan to be making music. This is kind of music making 101.